Understanding vehicle behavior under real driving conditions is essential to optimizing the chassis and powertrain design. Ever-growing requirements for vehicle performance and fuel economy create many challenges for vehicle dynamics research. 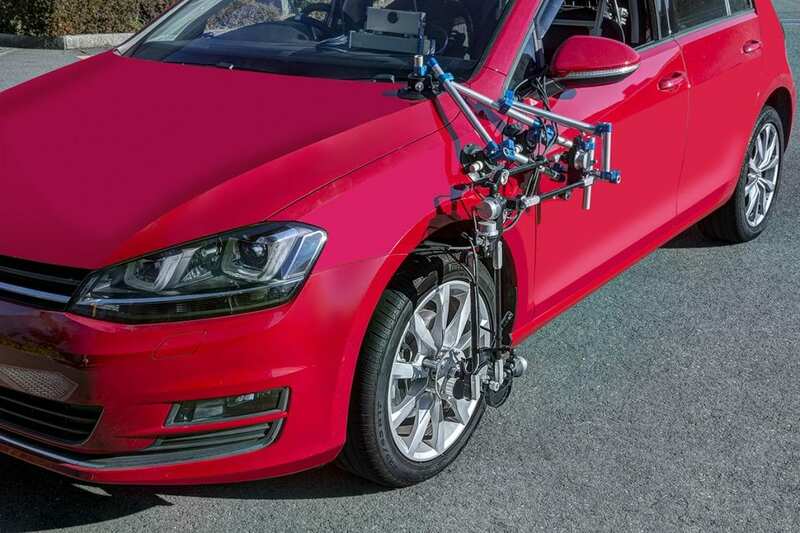 The Wheel Position Sensor (WPS), part of A&D’s Vehicle Measurement System (VMS), is a high-accuracy system that records tire position by gathering data measured against a reference point on the vehicle body. Position is calculated using an original A&D model, which eliminates the need for calibration. The system includes multiple high-resolution 17-bit rotary encoders that output the angle data which is then converted to displacement and angle values. Six individual sensors simultaneously measure the angles independently. The data is then integrated into absolute values by the WPS indicator, eliminating the need for relative data. The WPS can be attached to most standard wheels and has an IP65 waterproof rating.